Many studies have suggested that increasing consumption of plant foods like ginger decreases the risk of obesity, diabetes, heart disease and overall mortality while promoting a healthy complexion and hair, increased energy and overall lower weight. Here, 7 of the most compelling reasons to start embracing this potent, flavor-packed root on the regular. Watch out, colds. 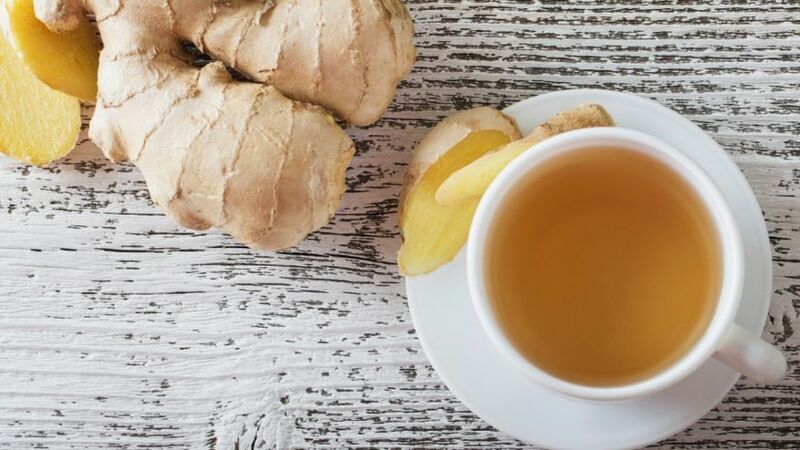 Not only does ginger contain sesquiterpenes, chemicals that combat rhinovirus (the most common cause of colds), sipping ginger tea can also reduce congestion and other cold and flu symptoms, according to Cardiff University researchers. What’s more, ginger is also full of immune-boosting antioxidants, and acts as a natural pain and fever reducer. “There is some evidence that ginger may be helpful for reducing joint pain and inflammation in arthritis sufferers,” says registered dietitian Danielle Capalino, MSPH, RD, author of Healthy Gut, Flat Stomach. That’s because ginger contains gingerols, potent anti-inflammatory substances that can inhibit the formation of inflammatory cytokines. In one study, published in Arthritis & Rheumatology, ginger extract significantly reduced symptoms of osteoarthritis of the knee. Hit the ginger before you hit the gym. Research has found that ginger, which acts as a natural pain reliever and anti-inflammatory, can ease post-workout muscle soreness. In a study published in The Journal of Pain, participants who took two grams of ginger a day (1 tablespoon fresh grated ginger, or 3/4 teaspoon powdered ginger) experienced a 25% reduction in exercise-induced muscle pain 24 hours after a workout compared to a placebo. Runners can also benefit: In another study, endurance athletes who took powdered ginger (like you'd find in your spice cabinet) had lower markers of inflammation. You know ginger as a nausea fighter, but that’s not its only stomach perk: “Ginger gets your digestion going and can keep your belly from uncomfortable or embarrassing bloating,” says Capalino. Known as a carminative herb (meaning it gets rid of excess gas), compounds in ginger stimulate gastric juices and digestive organs to boost digestion. Plus, it contains the enzyme zingibain to help break down proteins. “The most surprising benefit of ginger is that you can use it to alleviate menstrual pain,” says Capalino. In fact, ginger is shown to work as well as OTC pain meds. A study published in the Journal of Alternative and Complimentary Medicine found that ginger was as effective as ibuprofen in relieving period pain. Migraines are the worst, but ginger might keep you from landing in the ER. The key could be ginger’s ability to inhibit prostaglandin synthesis, thus keeping blood vessels from swelling and creating pressure. One study found that taking ginger powder was just as effective at treating migraines as sumatriptan, a common migraine medication. What’s more, ginger helps quell the queasy stomach that often accompanies a migraine headache. Ginger may buffer your brain against Alzheimer’s. The neurodegenerative disease is linked to sticky deposits of amyloid proteins in the brain, yet a laboratory study suggests ginger may protect brain cells from these plaques, delaying the onset and progression of the disease. The effects have yet to be studied on humans, but because eating ginger is pretty much risk-free, it's worth incorporating into a brain-healthy diet.